All features are available from this screen. Buttons on the left allow you to select the most commonly used features with a single mouse click. 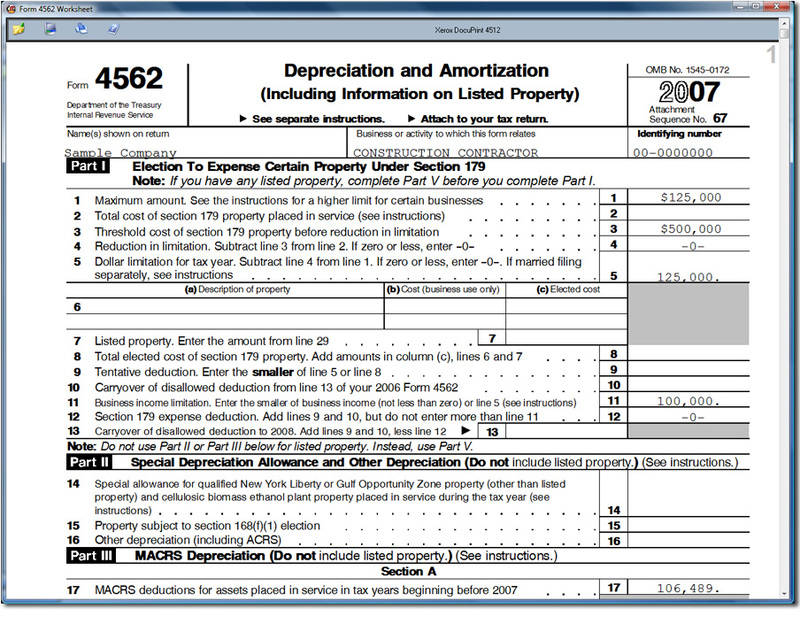 The File, Report, Tools and Help menus allow you to select additional features, such as Historical Depreciation (which recalculates accumulated depreciation if necessary) or Import Company. 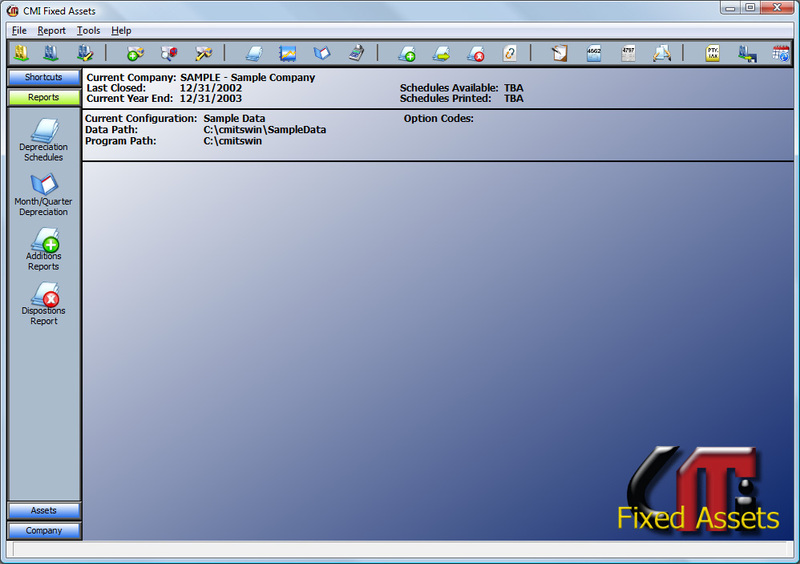 The top righthand side of the screen shows information about the currently selected company and the currently selected configuration. Creating or changing company data is done from this screen. 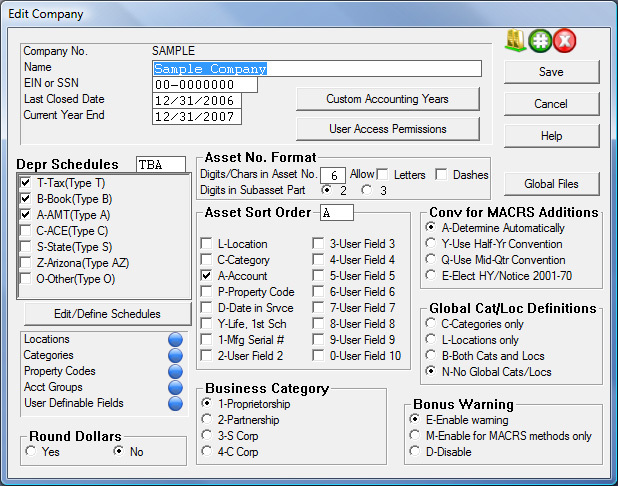 In addition to the basic company data, you can create up to ten additional asset data fields (user-definable fields); define locations, categories and account groups; and select which order the assets are to be sorted on reports. 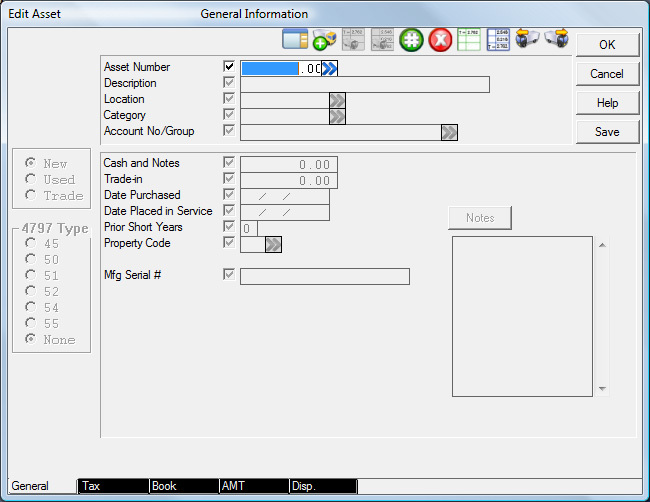 Enter your basic asset information on this screen. Double arrows indicate that a drop down windows are available for those fields. For example, clicking the double arrow on the Location field causes a list of locations to be displayed. Clicking a checkbox to the left of a data field causes the field to be skipped during data entry. 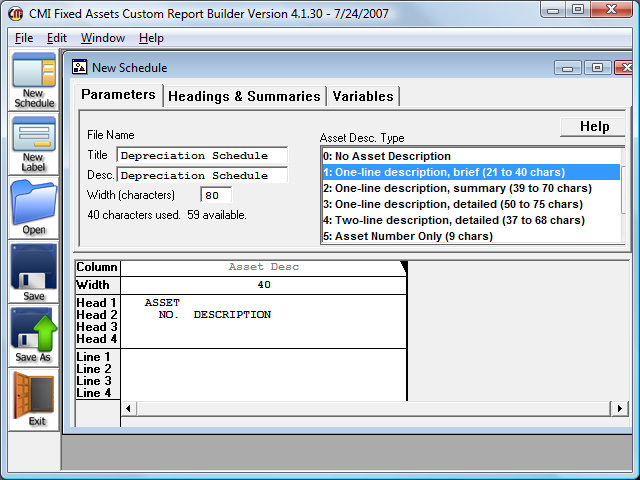 This Program Allows you to customize the way a report is displayed rather than using our comprehive set of reports. Laser IRS appoved form 4562.